After having their five-game win streak to start the 2018-2019 snapped by Brookline on Tuesday night, the Wellesley High boys basketball team returned home to square off against rival Newton North on Friday. 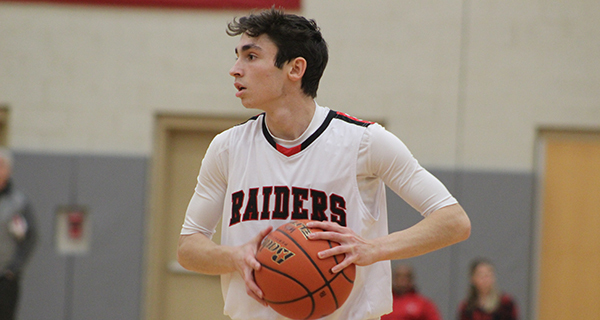 Unfortunately, the injury bug has ravaged the Raiders (5-2, 3-2) over the last few weeks, as four players, including senior captains/guards Alex Stoddard and Owen DeOliveira, did not dress for Friday’s contest. Despite Newton North having the obvious depth advantage with so many Wellesley players sidelined, the Raiders hung tough with the Tigers (5-3, 3-2) for the entirety of the first half. The Tigers got out to a fast start, going on a 10-0 run after falling behind 1-0 and forcing Wellesley to call a timeout to settle things down. Following the break, senior guard Mark Harrington (10 points) responded with an 8-0 run of his own by drilling a pair of 3-pointers, as well as hitting a pair of free throws, cutting the deficit to 10-9 and forcing Newton North to a timeout. A big block just before the buzzer by senior forward Michael Blair kept it at a one point game at the end of one quarter. 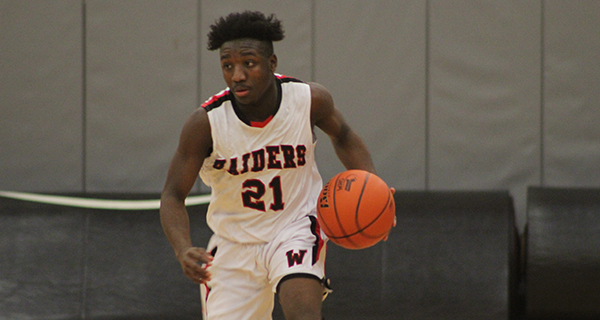 A layup by junior point guard Anthony Lumley (five points) gave the Raiders back the lead at 16-15 midway through the second quarter. Newton North responded with an 8-2 run to take a 23-18 lead. A layup by senior forward Chris Kolb (six points) made it a 3-point game at 23-20, but North shot home a pair of free throws with under a second to play in the half to take a five-point lead into halftime. Despite the strong first half, the lack of depth started to catch up to Wellesley in the third quarter as the Tigers outscored the Raiders 18-5 in the period to take a 43-25 lead into the fourth. Newton North extended its lead to as many as 23 points in the fourth quarter to put a stranglehold on the contest, and the Tigers prevailed by a 55-34 final. Wellesley will look to get healthy and respond on January 18, when the Raiders welcome in Natick.